New bottle features built-in measuring cup! 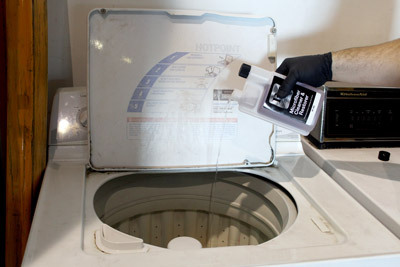 BLACKFIRE Microfiber Cleaner & Restorer is formulated to meet the unique cleaning requirements of microfiber. It releases oily residues and greasy stains better than an ordinary laundry detergent and leaves microfiber feeling like new! Even better, BLACKFIRE Microfiber Cleaner & Restorer protects the special characteristics of microfiber� - its tremendous absorbency, luxurious softness, and dust-attracting magnetism. Why wash microfiber with anything else? BLACKFIRE Microfiber Cleaner & Restorer is HE safe and can be added directly to your load of towels!.